On a hunt for a statement piece like no other? 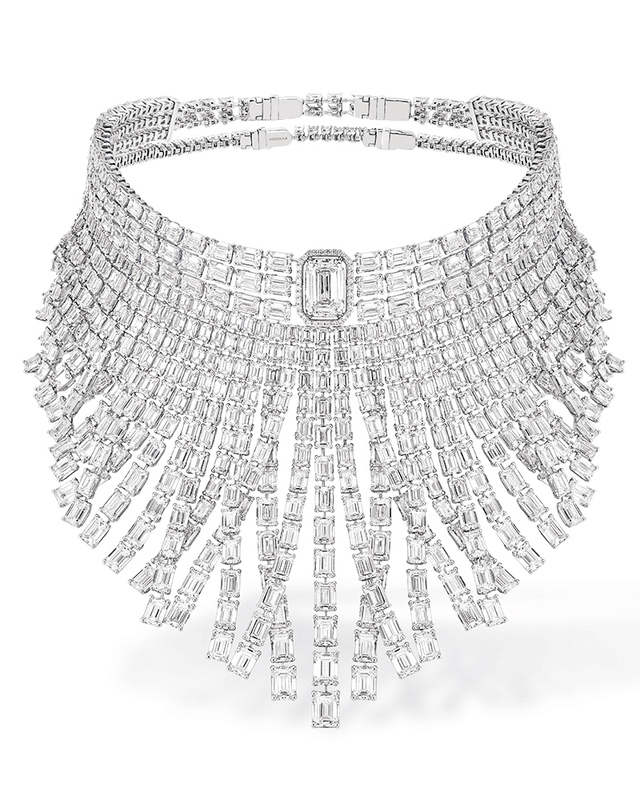 Messika Paris presents a necklace from the latest High Jewellery collection, and we are smitten. The Eternal Soul line tiered necklace, part of the Little Mermaid collection, is designed to look and feel mesmerizing. Ideal for a special occasion, and with the festive holiday coming up, you’re bound to feel the belle of the ball. Designer Valérie Messika juxtaposes threads of emerald-cut diamonds in this masterful composition. With its hypnotic and imperial presence, a 5.01ct emerald-cut diamond reigns in the centre of this piece, whose creation required some 2000 hours of painstaking artistry in the Messika workshop. The final result is worth the hours of work and will keep you shining into the new year.